Happy Birthday to Cooperative Extension! 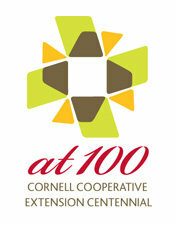 You are here: Home / Cornell Cooperative Extension / Happy Birthday to Cooperative Extension! The Cornell Cooperative Extension system was created a century ago to serve a function similar to what this very blog serves today – to help share evidence-based information and practices with the general public. In the age before the Internet, this meant disseminating information in workshops, classes and even visits to local homes and businesses. So the Cooperative Extension system opened offices in local communities with employees who would gather information from university professors, and then disseminate that information to people local communities. In New York State, the first such office opened in 1911 by a Cornell graduate named John H. Baron. Over the next eight years, 54 more extension offices opened across New York State. Over the years, Cooperative Extension programs educated New York businesses and families everything from the safest way to defrost a turkey to the best methods for irrigating strawberry fields. This system developed into a two-way street where community members and businesses pose questions that are funneled to university researchers, who conduct research to find the answers. Today, Cornell Cooperative Extension is focused on helping families, businesses, government agencies, and other organizations in five key areas: agriculture and food systems; children, youth and families; community and economic vitality; environment and natural resources; and nutrition and health. Cooperative Extension professionals provide information on contemporary issues including renewable energy, early childhood education and cooking with local foods. The Cooperative Extension System is truly an invaluable resource for helping people and organizations from all walks of life make decisions based on the best available evidence.